Cecilia Hillström Gallery is proud to announce representation of Sigrid Sandström. 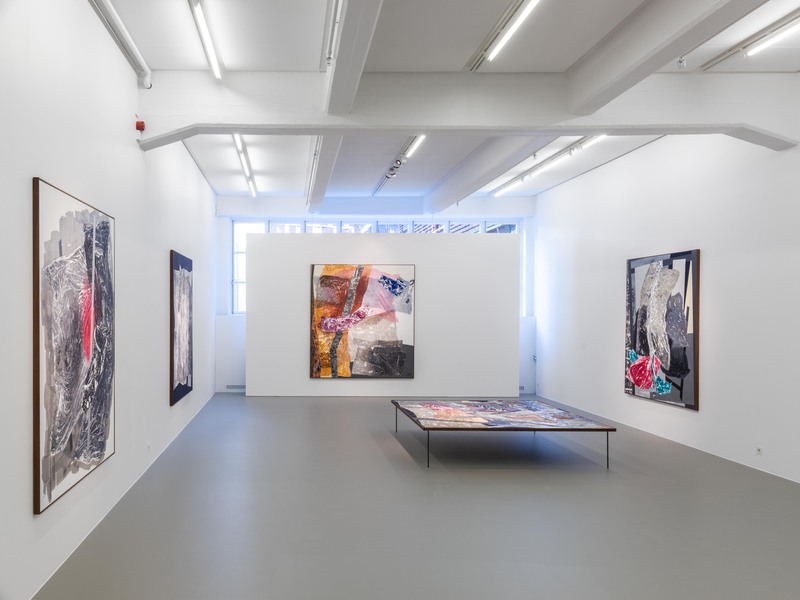 In the inaugural exhibition in the gallery’s new space at Hudiksvallsgatan, Sandström presents a series of new paintings. For Sandström, this site-specific experience puts emphasis on geology and time. As the days pass working in the villa, thoughts circle around what is left behind. In the secluded house time stands still in and the senses are heightened. Gradually, the word residue – both physical and emotional – seems to describe the process. The remnants of motions transform into an image, a sedimentary imprint. As in Sandström’s previous works, the process is quite bluntly displayed in the layers of colors and textures on the canvas. At the same time, her practice is engaged in reflecting on the relationship between the painter, the viewers and the surrounding space. In the painting Image Inverted, a solitary, man-sized monolith is hovering on the canvas. Its presence in the exhibition creates a temporary imbalance, emphasizing the autonomous space surrounding each painting. By coincidence, the name Maar leads us to the geological phenomenon maar, a low-relief volcanic crater caused by an explosion when water comes into contact with hot lava. They are typically filled with water, but a dry maar is a dried-up remnant of a violent event. In the exhibition, the painting Dry Maar is displayed horizontally; is it a map of an ancient disaster? 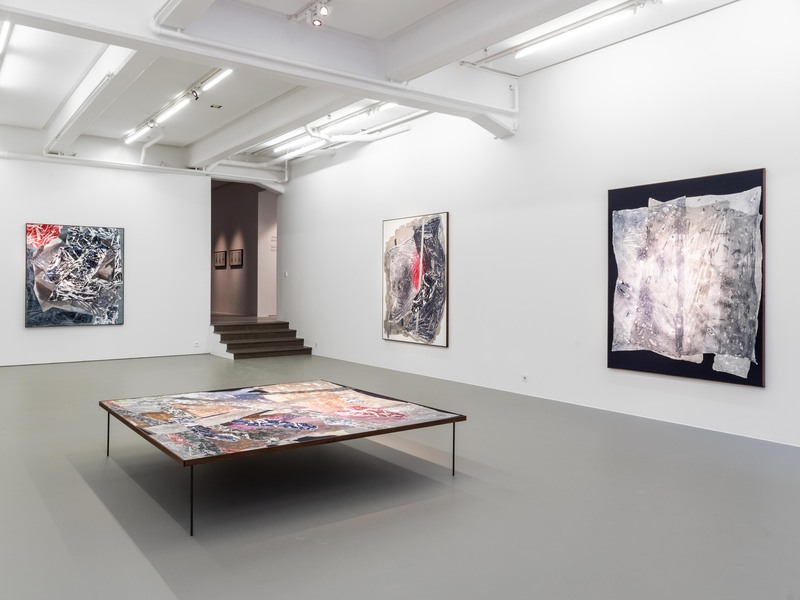 Perhaps Sandström’s paintings are closely tied to the turbulent history of the earth, its millions of years of draughts, floods and geological catastrophes. On the other hand they can just as much be presages of what is to come. 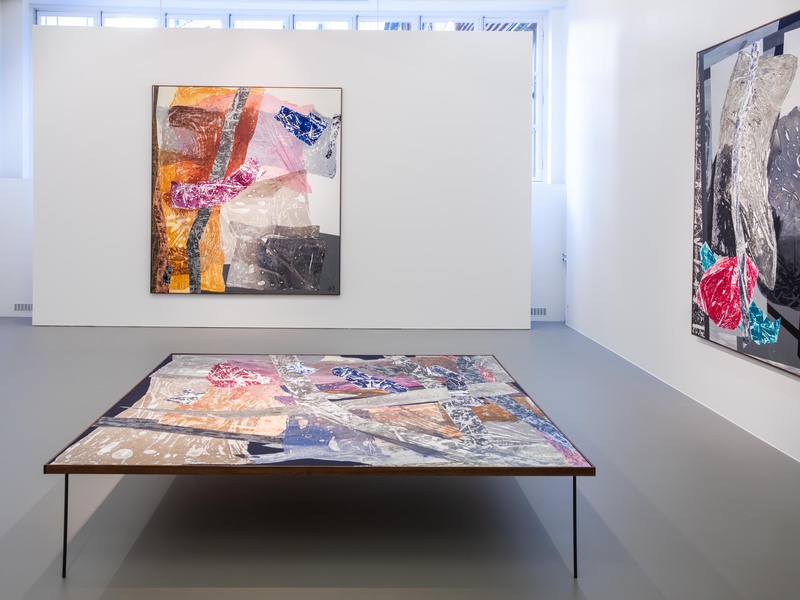 Sandström’s paintings carry an immediateness, creating a suspension of time. It is in this gap that we are caught off guard –uncertain of time and space – in front of her works.